How do I use the size chart to measure? Lay the apparel on a flat surface and use the above guide to measure it. 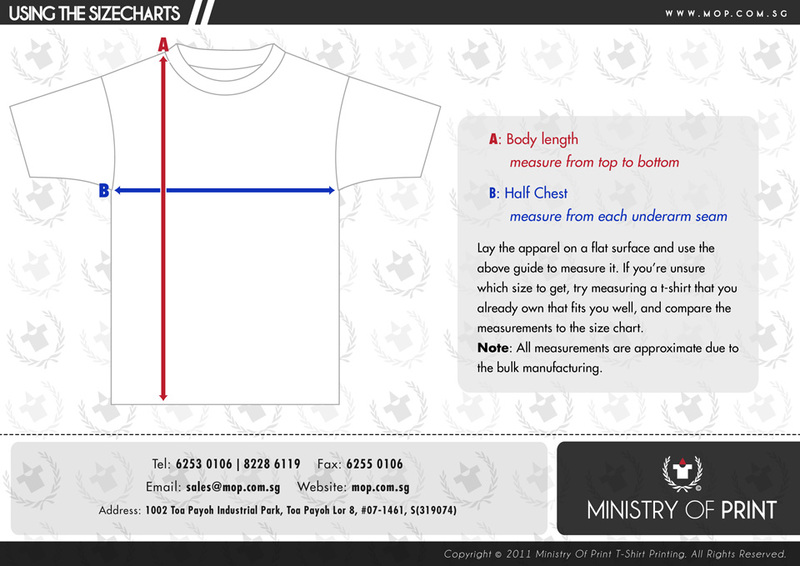 If you are unsure which size to get, try measuring a t-shirt that you already own that fits you well, and compare the measurements to the size chart.